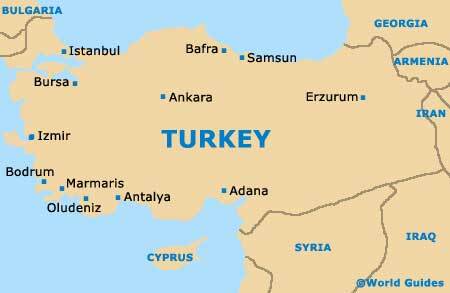 Serving as the capital city of Turkey, Ankara enjoys a fairly central setting in the country and is currently called home by almost four million residents. 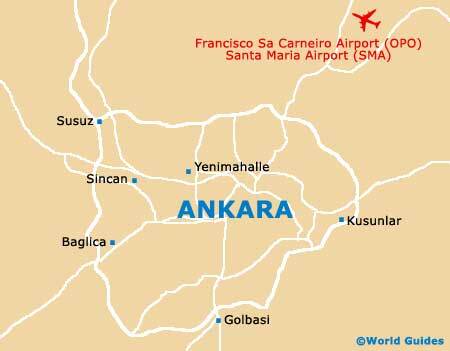 The city lies within the region known as Central Anatolia and is also the capital of the Province of Ankara, which is a large and spreading metropolitan area surrounding the city. 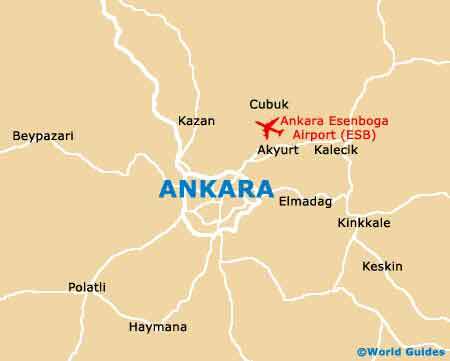 Ankara is a historic city and is divided by the major thoroughfare named the Ataturk Bulvari, which runs in a north to south direction and stretches for some 5 km / 3 miles in total. This street is especially busy and almost everything that you could possibly require during your visit is never far from hand, with city maps being available at a number of bookstores here. Located on the northerly side of the Ataturk Bulvari is the Ulus Meydani, a spacious public square generally simply referred to as the Ulus. The Ulus Meydani is an important traffic hub within Ankara and is easy to spot, since it is rather dominated by a large statue depicting a horseback Mustafa Kemal Ataturk, Turkey's much-loved founder. The Ulus square has also rather lent its name to the whole neighbourhood, which features a number of shopping centres and plenty of very cheap hotels, being a good place for tourists to start exploring Ankara. Directly east of the Ulus Meydani and along the Hisarparki Caddesi is the city's Citadel (Hisar) - an interesting fortress and useful point of reference. 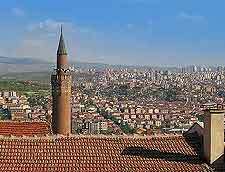 To the south of Ankara's Ulus neighbourhood is the 'New City' (Yenisehir), while further south, the bustling square of Kizilay awaits, along with the Parliament building, the district of Kavaklidere and the rather upmarket suburb of Cankaya.